There’s a big change coming to your restaurant experience if Danny Meyer gets his way. Meyer, owner of well-known New York restaurants including The Union Square Cafe, Gramercy Tavern, The Modern, and Maialino announced that he will stop tipping in his beloved, influential, and iconic restaurants. Instead, all the restaurant staff will be paid on an hourly or salary basis, to balance pay more equitably between dining room and kitchen staff. Of course, prices will go up to make up for the loss of tips. 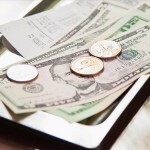 Tipping is deeply ingrained in American culture and is becoming more widespread in our affluent society. The practice has its origins in England but became common here after the Civil War. A tip is expected in restaurants, taxis, and hair salons. 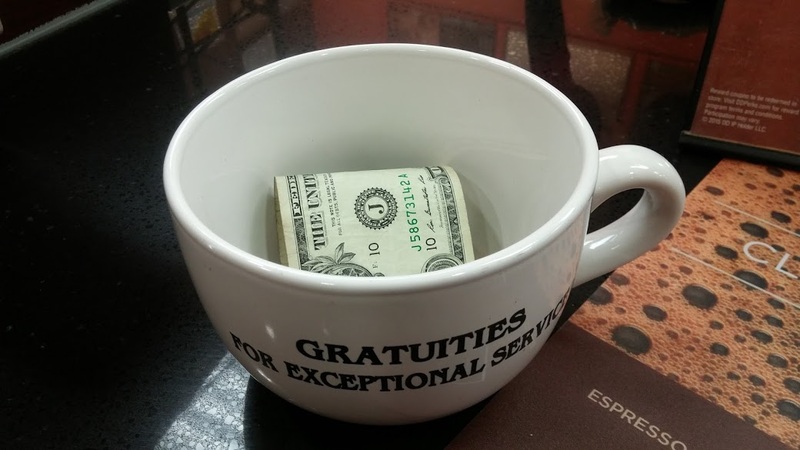 The practice is expanding to tipping baristas, hotel housekeepers, and delivery people. The standard restaurant tip used to be 15%, but is now often 20%, and in the big cities, even more. The origins of the practice and even the word tip are murky. The best story, without any real supporting evidence, refers to a jar on the counter in the coffee shoppes of 17th-century England labeled, “To Insure Promptness.” It was also the custom, after a visit to an English Country House (Downton Abbey say), to give a gratuity to the staff. Tipping, especially restaurant tipping, is so deep-seated in Americans that we tend to tip in other countries where tipping is not the custom. It’s our habit to be sure, but we also want to acknowledge and be liked by the server. In our individualistic and upwardly mobile society, there is a vague underlying unease about being served that urges us to reward the server directly. However, tipping can be problematic within the restaurant. Some servers can make more than others depending on the number of guests served, generosity of the customers, extravagance of the order, and sales skills. Earnings can be evened out by servers combining their tips for a given shift and then taking an equal share, known as a tip pool. Some restaurants have gotten into legal trouble in the past by including non-service personnel in the pool – managers, cooks and the like. Tip income can also be destabilized by outside factors like weather, holidays, and sports events (staying home to watch the Mets for instance). Meanwhile, the kitchen crew is working for hourly wages, often earning less than the dining room team. Serving in a restaurant is a traditional path to good pay, flexible hours, and upward mobility for those with good people skills, high motivation, and a willingness to work hard. At the upper reaches of the business, like at Danny Meyer’s restaurants, earnings are enviously substantial and remarkably stable. At the lower end, sometimes the tips barely exceed the minimum wage. In the vast middle, servers can make good money, but tend to be transient, often jumping from restaurant to restaurant or moving to other industries for a better lifestyle. What Danny Meyer wants to do is spread the income more equitably across the entire restaurant staff. In his own words, “Unfortunately, many of our colleagues—our cooks, reservationists, and dishwashers to name a few—aren’t able to share in our guests’ generosity, even though their contributions are just as vital to the outcome of your experience at one of our restaurants.” He wants to do the right thing. It’s an idea worth trying. For the full text of Meyer’s letter to his customers, visit FranksFeast.com. But beyond the hothouse atmosphere of high-end New York dining, it will be harder to get people to change their tipping habits. As a leader in the restaurant industry, Meyer has the clout to give it a try. But here in Fairfield County, where no one restaurant operator has that kind of influence, it will be much harder to effect this kind of change. Who would dare to be first in raising their prices? What restaurant would be able to make the case for a complete realignment of this time-honored way of paying? Local restaurant operators see the merit of the idea. They understand the value of being able to balance earnings across the full spectrum of their employees. But no one I spoke to could see how this could be implemented. Anthony Pirraglia, owner of the Oak + Almond on Main Ave contrasted the American tipping tradition with the no tipping habit in Italy. “Tables there are booked for the evening,” he said. 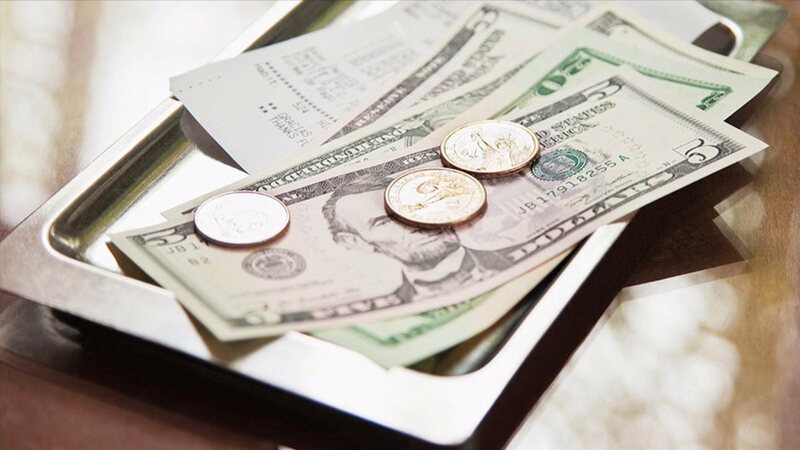 “Both the diners and the service staff expect a leisurely and social experience – a far cry from the hustle and table turnover in America.” He worried that taking away tipping would, “take away the incentive” for servers. Meyer’s proposal has attracted wide and diverse attention. In a recent article in the New York Times, food reporter Julia Moskin, argued that there is a shortage of qualified cooks, and that increasing pay by re-allocating tips might be one way to help. Also in the Times, Saru Jayaraman, director of the Food Labor Research Institute at UC Berkeley, argued in an Op-ed that tipping, with its loophole in minimum wage regulations, has long been a means of wage discrimination against servers, mostly women. Mark Moeller a 33-year Fairfield County restaurant veteran, and a principal at The Recipe for Success restaurant consultancy, summed up industry feelings: eliminating tips is likely to take away the financial incentive for professional servers and make it like any other retail job. He was also skeptical about the public’s reaction to increased prices, especially when not all restaurants will join in. The total cost of a meal will be about the same, but will the tip be folded into the menu price, or will it be added on? From a marketing and perception point of view – quite different. “It will be hard to overcome the culture of tipping”, Moeller said. It looks to me like this change in tipping may have lots of unintended consequences. Restaurant servers, cooks, and their colleagues are some of the hardest working people I know. They deserve to be paid fairly and paid well. Would you be in favor of higher prices that replace tips, or would you like things to stay as they are? Let me know what you think at notbreadalonefw@gmail.com.